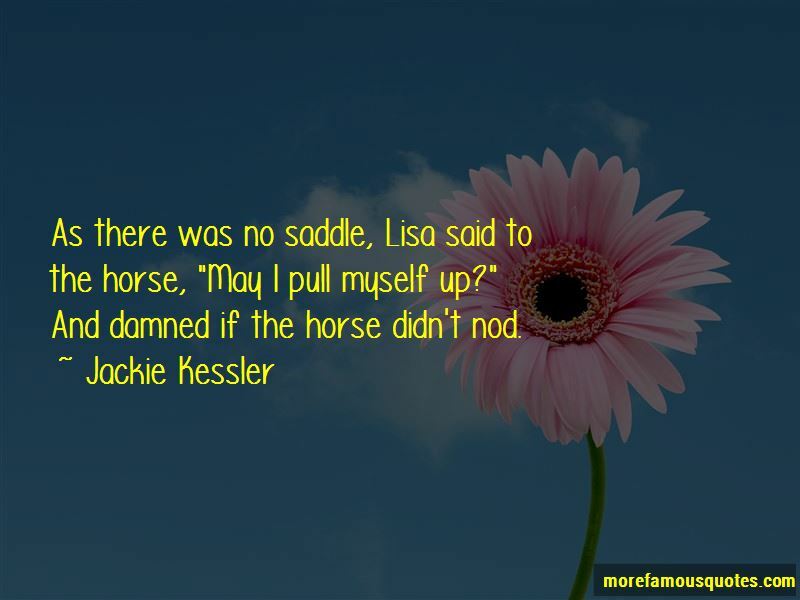 Enjoy the top 7 famous quotes, sayings and quotations by Jackie Kessler. 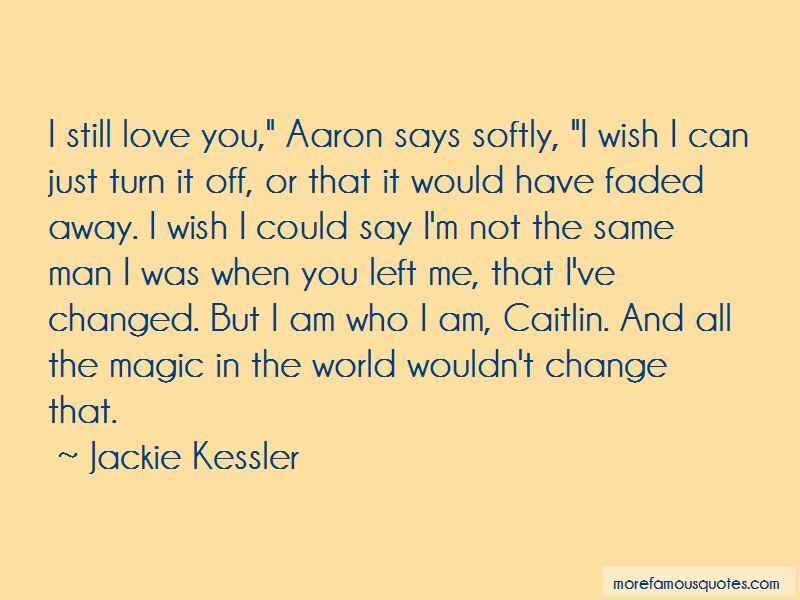 I still love you," Aaron says softly, "I wish I can just turn it off, or that it would have faded away. I wish I could say I'm not the same man I was when you left me, that I've changed. But I am who I am, Caitlin. And all the magic in the world wouldn't change that. “As there was no saddle, Lisa said to the horse, "May I pull myself up?" 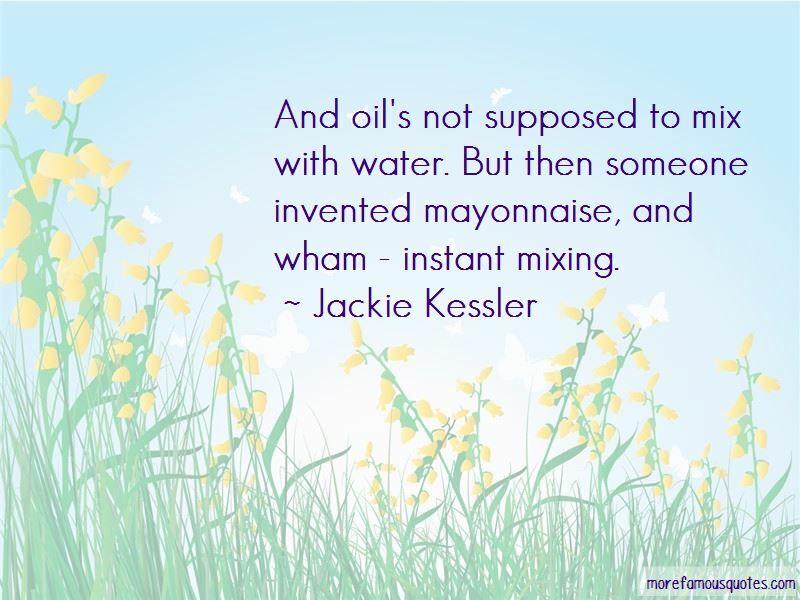 Want to see more pictures of Jackie Kessler quotes? 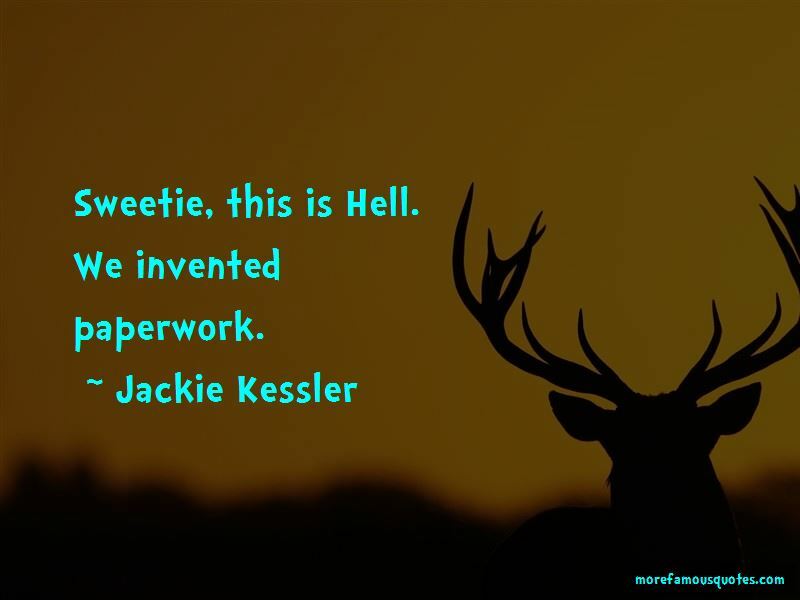 Click on image of Jackie Kessler quotes to view full size.